University of San Diego Men’s Soccer Development College ID Camp is for 8 to 17 years old male players. It is a 4-day event from June 27 to June 30, . The camp will focus on developing skills through drills and games. It is for both technical and tactical skills improvement. There will be a thorough assessment for each attendee. In essence, this will be a competitive yet an enjoyable experience. It is set to start at 1:00 PM on Day 1 and end at 11:20 AM on Day 4. The camp will take place at Valley Field which is a state of the art facility. The university men’s soccer coaching staff organizes this clinic. The University of San Diego is a private Catholic institution. Its campus is known for its Spanish Renaissance architecture. Currently, it is offering 42 bachelor’s degree, undergraduate programs. The university is also an Ashoka’s Changemaker Campus Consortium member. It is currently 86th in the US News and World Reports national rankings. And also, it is 188th in Forbes’ national rankings. The University of San Diego undergraduate students population is 5,741 as of 2016. The university is competing in 17 intercollegiate sports. Their nickname is Torero. Blue and white are the university’s official colors. 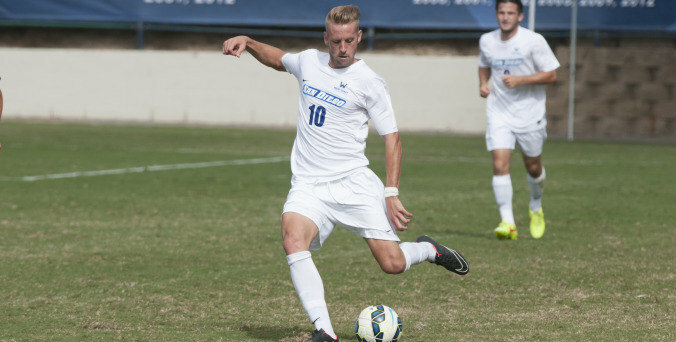 Its men’s soccer team is competing in the West Coast Conference of NCAA Div I. Currently, the team is 6th in the conference. The team is a 9-time West Coast Conference champions. And, they have 14 NCAA Tournament appearances. Seamus McFadden is the new head coach of the women’s soccer team. season is going to be his 39th year as the team’s head coach. He is a 9-time WCC Coach of the Year awardee. Also, he is 8th in most wins ranking for Div I active coaches. The team’s associate head coach is Brian Quinn. And, the assistant coach is Mike Nicholson. Completing the staff is Volunteer Assistant Coach Anthony Meza. University of San Diego Men's Soccer Development College ID Camp is for 8 to 17 years old male players. It is a 4-day event from June 27 to June 30, .